Cain was born in southern Saskatchewan. He started riding before he could walk. He started his first horse at 8 years old and hasn't looked back since. His mother and father were rodeo stock contractors so he learned at an early age how to handle wild horses. He learned and developed the subtle communication needed to handle these sensitive horses. This laid the foundation for the communication and feel Cain would use in his training. After Cain left home he spent some time rodeoing semi-pro. After some time he realized that training horses was more fulfilling than trying to outdo them in the rodeo arena. Cain worked for several large ranches and several government lease pastures a-horseback. Because of his background in rodeo, he was known for his ability to ride the rough string. This brought him a lot of clients that were "broncs or spooks". With a little time and patience, the majority of these callused horses turned out good. Riding these "problem horses" was a tough way to make a living, but it was invaluable as far as experience. These horses didn't allow for mistakes. Eventually people started to realize that if Cain could help a problem horse, he could do much more with a horse that has a fresh mind. Cain was fortunate to have had the opportunity to work with excellent cowboys and horse people all his life. With an open and inquisitive mind he traveled the country, taking every opportunity to work with and learn from every horse and every horseperson he could. As time went on he started to realize that horses were the teacher and he was the student. In 1998 Cain decided to start sharing his knowledge about horses on a grander scale. His communication skills with horses and people are very effective and he does various clinics throughout the year. Cain Quam has devoted his entire life to developing his own unique training system to teach horses how to think and thus encourage them to evolve into the highest quality of horse possible. He understands the horse, their language and their reactions like no other trainer. He is able to make unique and bold connections with the horse. Cain has the uncanny ability to get a horse to "think" and stop reacting to the world. Cain is known for his clarity and wisdom not only with horses but also with people and has a keen ability to see situations as they are. Cain started training cutting horses in 2000. He has worked with many great horses and clients. He was president of the Saskatchewan Cutting horse association for 4 years and has served on the board as a volunteer for 14 years. In 1998 Cain became a father, which he completely enjoys. He loves riding with the girls and his family skiing and fishing, and mounted shooting trips are a highlight of the year. In 2012 he changed his focus to cowboy mounted shooting. He quickly filled his barn with shooting horses and is completely enjoying the new sport. He assumed a leadership role in the Saskatchewan Cowboy Mounted Shooting Association as president, and played a big role in developing the sport on a national level. He has been very successful at the competitions in U.S and Canada in the shooting pen already, and he has trained many shooting horses, as well as coached their owners to be successful too. Roberta grew up in the town of Weyburn. She has always had a love of horses and the rural life. Fortunately for her, she ran into the wild and wooly cowboy, who convinced her that life as a horse trainers wife would fulfill all of her horse lovers desires. The rural life, and the horse training facility agree well with her and she is most often found in the barn, saddling horses, warming horses up, or yes... shoveling manure. In 2012 Cain decided to incorporate Cowboy Mounted Shooting into the business. To Roberta's surprise, she fell in love with the sport and is now competing. She is fortunate enough to have the best coach (Cain) to guide her through the horsemanship skills that she needs to improve on to become competitive! She also looks after most of the business end of the training facility and makes sure the crew is fed. Roberta takes great joy in the two children that they have, and values all of the time spent with them. Roberta's other passion besides horses and family is yoga. She is a yoga instructor and is incorporating that into the horse life. Roberta Quam has spent her adult life as a seeker and a learner. She has studied many disciplines of self-development, energy work and yoga. She currently is a well-known yoga instructor who is actively sought out for her heart and clear teaching of yoga. Roberta has also started offering riding lessons with a unique twist. She has incorporated all of her knowledge in yoga, NLP, and personal development to offer a riding lesson that helps others to become more aware of themselves and their world around them. Safety and fun are her first priorities, but issues such as becoming an effective leader, anxiety, fear, unhappiness, stress, and belief systems that are no longer serving a person are examples of what can be addressed in a lesson. Of course just riding to be with the horse is always an option! Beginners are welcome. Cain and Roberta were married in August of 1997. In July of 1998 they purchased their place at Kendal, Saskatchewan. The horse training facility is located an hour south east of Regina, Saskatchewan. Their daughters, Cheyenne and Jaelynn, are an important part of their business. When not playing school sports, the girls can be found in the arena riding horses, or the show pen, getting them ready to compete. The main focus of the business has been cutting horses. Cain has successfully shown many champions and reserve champions. He has trained many non-pro horses and has helped the owners to achieve success in the cutting pen. In 2012 Cain shifted his focus to mounted shooting horses. With wins at the US Winter Championship and the Will Lantis Memorial, Cain's horsemanship skills are proving to be universal, no matter what arena he is competing in. Cain has trained horses and coached riders to success in the cutting, barrel racing, working cow horse, Western/English pleasure, and mounted shooting arenas. In his first year of mounted shooting competition he has coached 5 mounted shooters to qualify for the world finals. Since then Cain has won a number of mounted shooting competitions, competed throughout Canada and the States, and continued to train both mounted shooters and their horses. This is a great place to get your horse started. Cain's versatility and knowledge of a variety of disciplines, allows him to start and finish horses that will be used for any discipline whether it's your backyard horse or a specific sport. 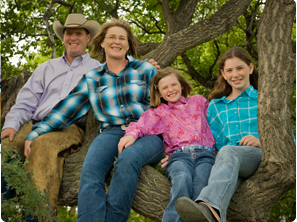 Cain also offers horsemanship, mounted shooting, working cowhorse, cutting, ranch roping and colt starting clinics. His ability as a clinician and his communication skills make him great teacher of horse and human alike. Whether you want to go to the show pen, just start your trail riding horse, or learn to train your own horse, Cain offers a program for you. Our facility includes an 80 x 180 indoor heated riding arena, 18 stall heated barn, round pen, hot walker, heated lunchroom, wash rack, and 120 foot outside riding arena. We believe horses are healthier and happier if they spend most of their time outdoors, so we have built our place with plenty of pasture, corrals, turnout pens and unlimited water access. We feed the best quality of hay and any supplements that are required or requested by the horses' owner.